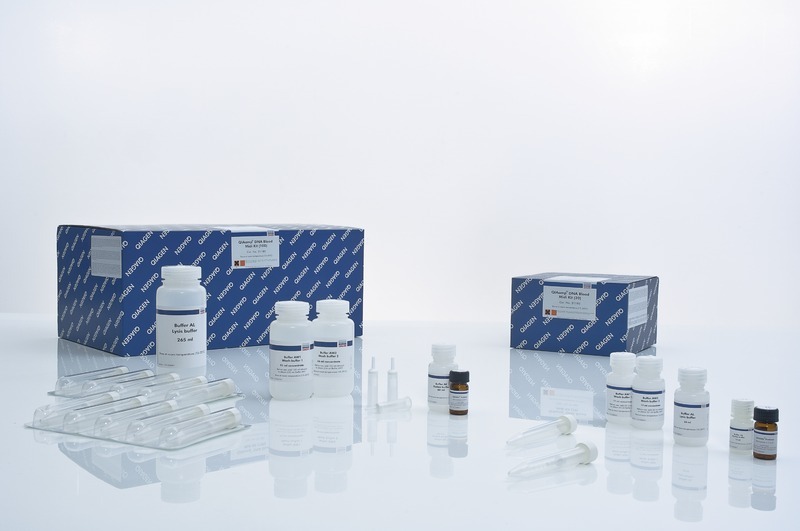 QIAamp DNA Blood Midi Kits provide silica-membrane-based DNA purification for labs that process whole blood, plasma, serum, and other body fluids. The QIAamp DNA Blood Midi Kit is designed for processing 0.3–2 ml fresh or frozen human whole blood. The QIAamp Midi spin columns can be easily processed in a centrifuge or on vacuum manifolds (additional Buffer AW1 [Cat. no. 19081] and Buffer AW2 [Cat. no. 19072] are required for use with vacuum manifolds).